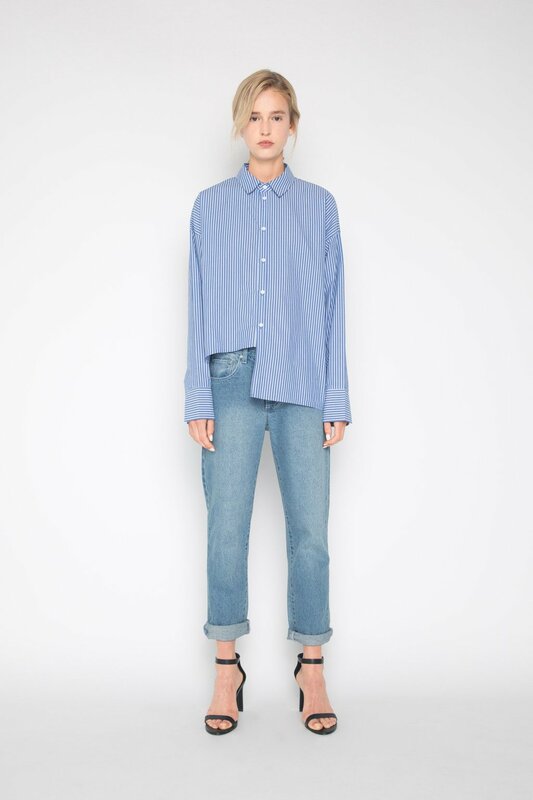 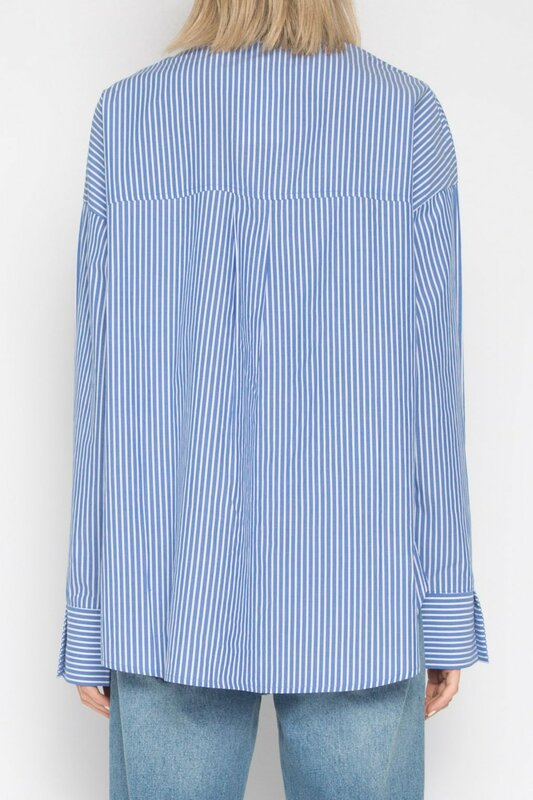 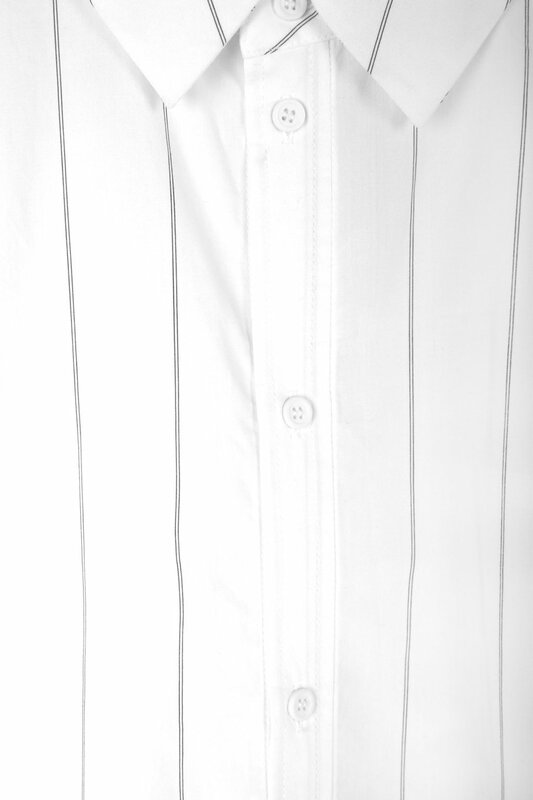 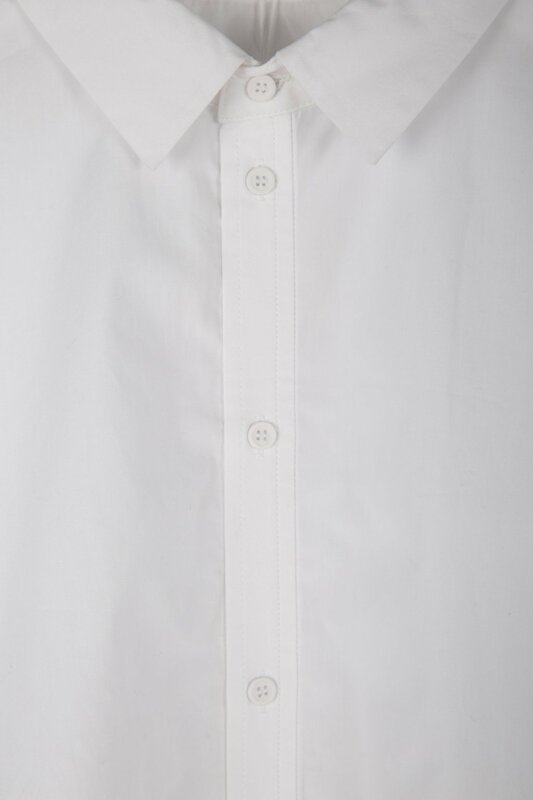 Crafted from 100% cotton, this blouse is a classic button-up shirt featuring a collar, full-button closure, and a single back pleat. 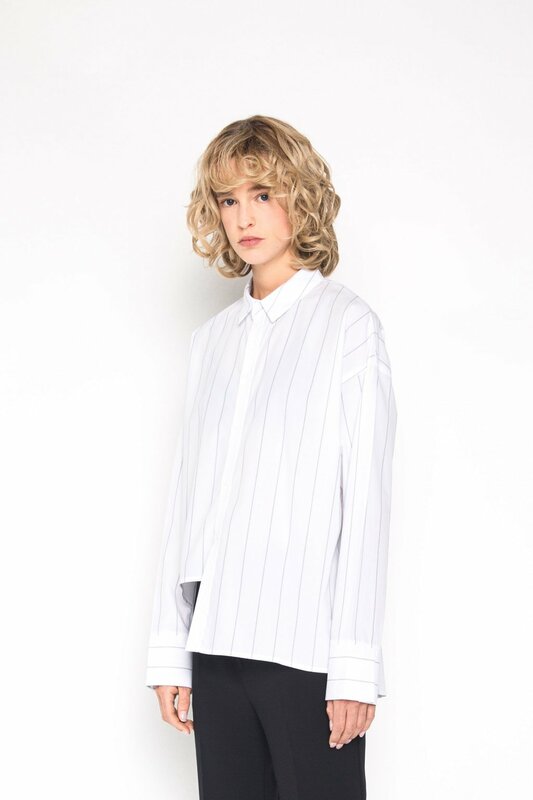 For a modern twist, one half of the front hem is longer than the other, giving this piece a chic asymmetrical look. 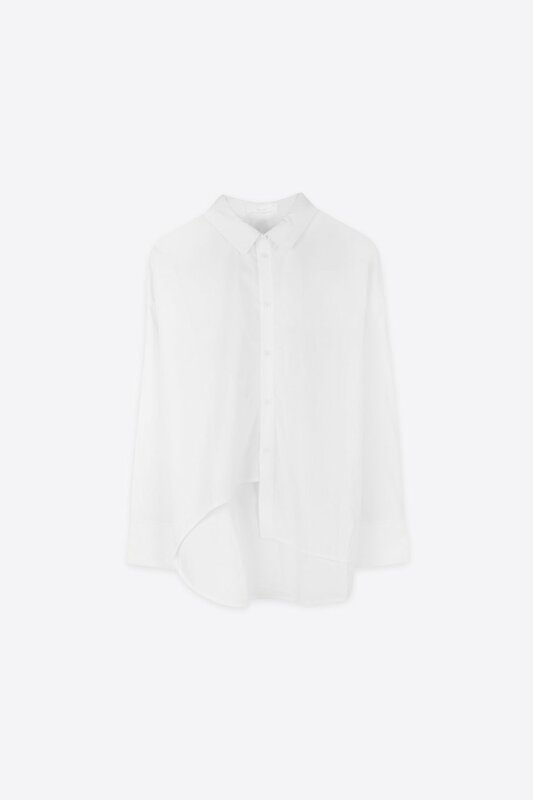 Minimal with just the right details, this piece is stylish and versatile. 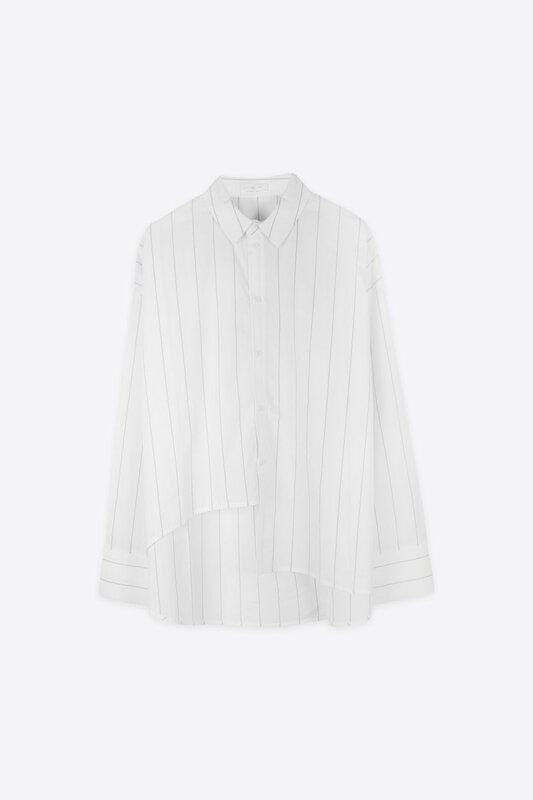 Pair with jeans and heels for an effortlessly modern look.